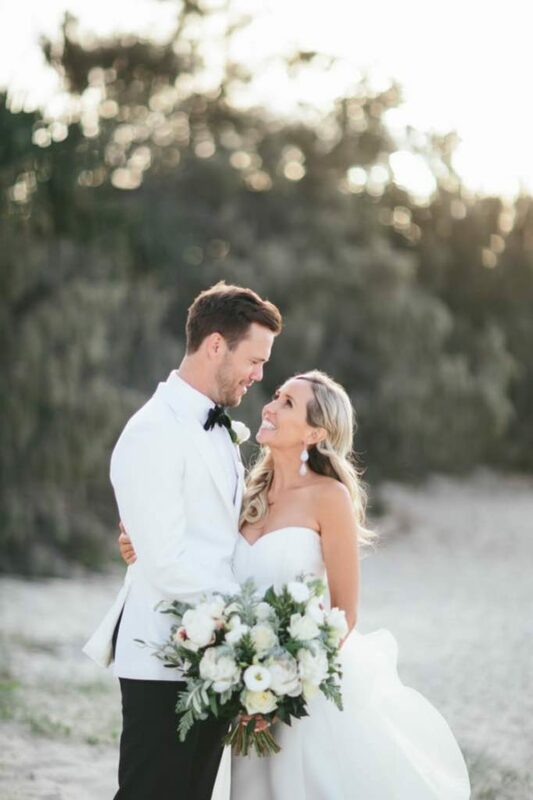 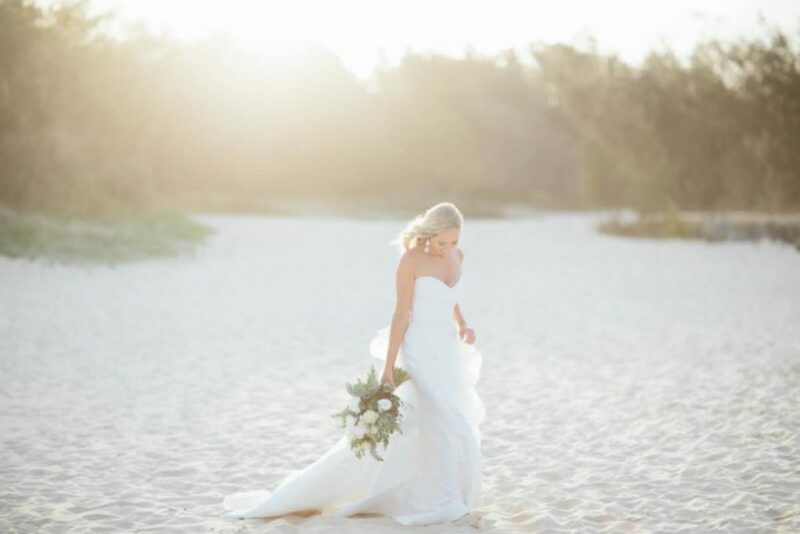 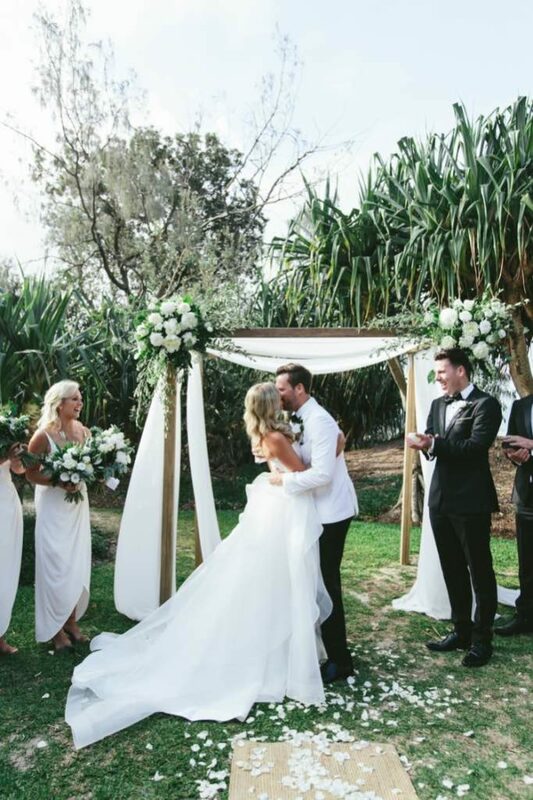 Kellie and Clint celebrated their wedding day at Rickys River Bar and Restaurant in Noosa. 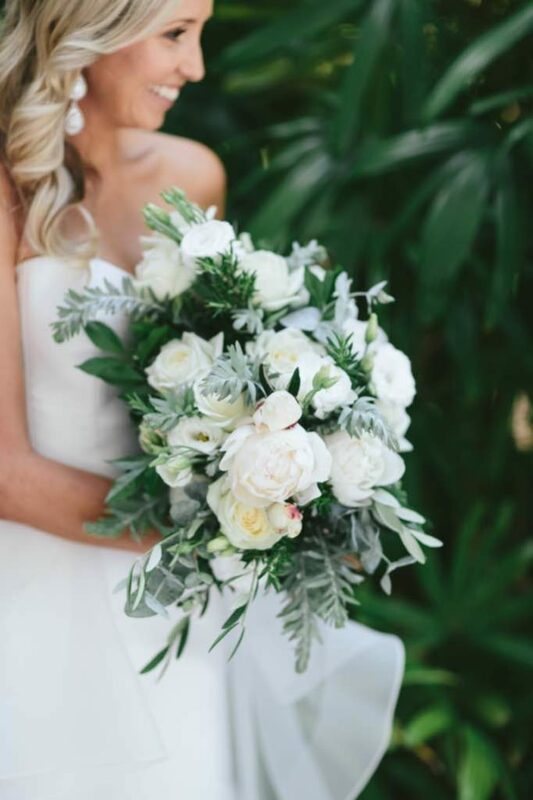 We helped them achieve their vision of fresh and elegant whites and greens. 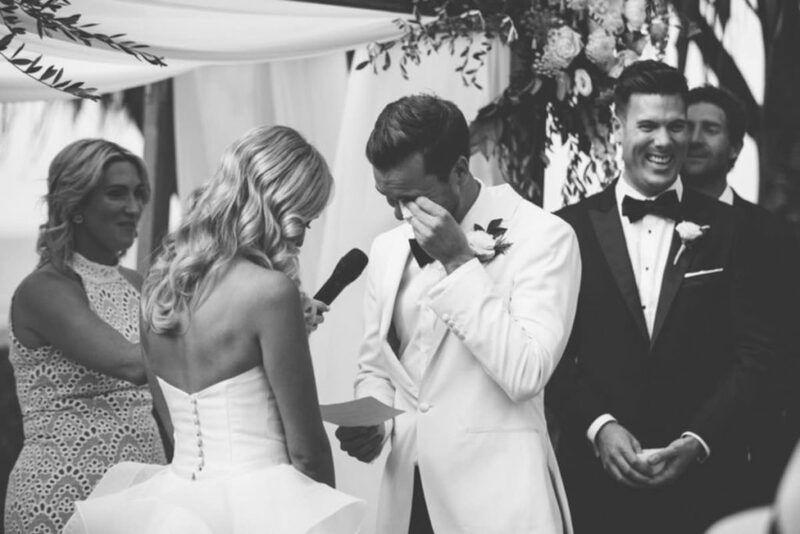 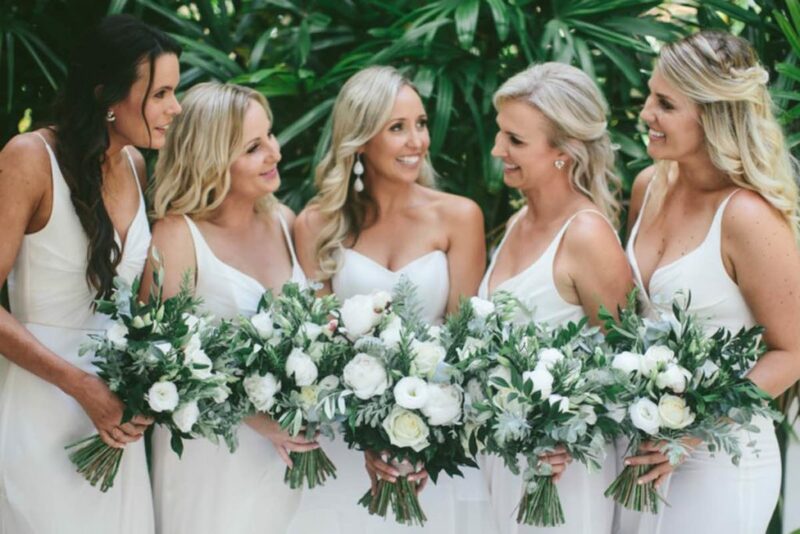 White images helped them achieve amazing memories of the day. 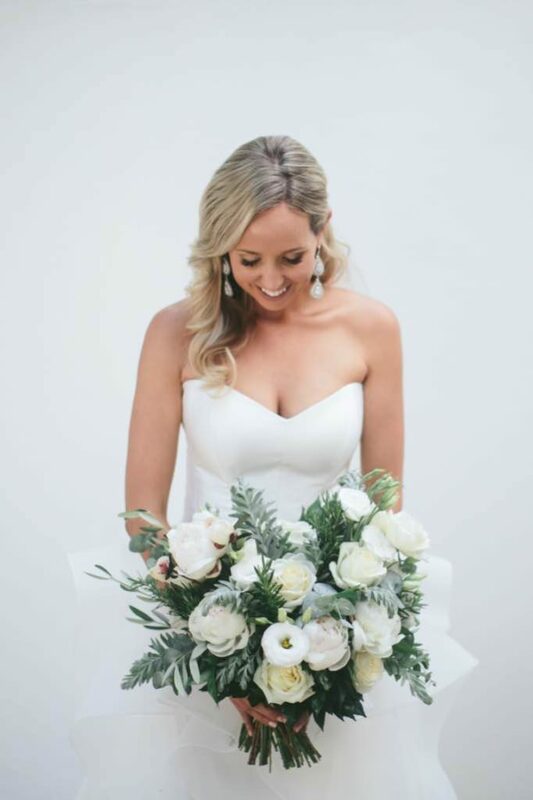 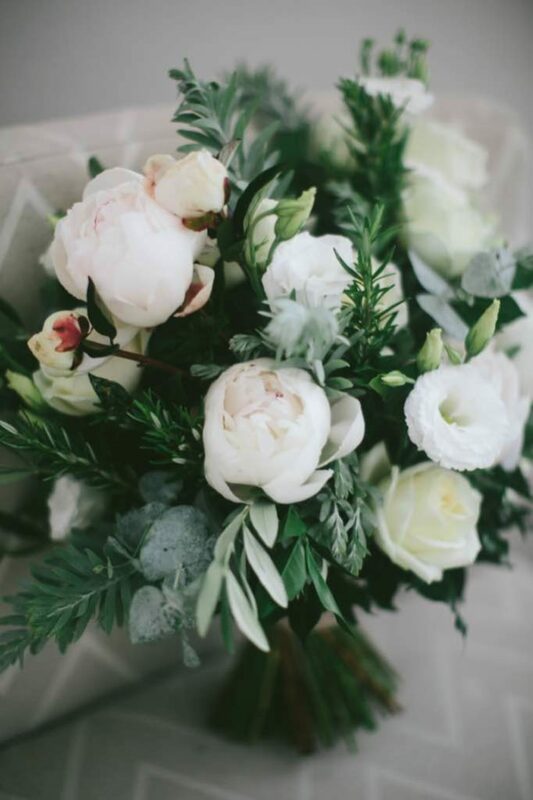 Kellie had a bouquet of crisp white peonies, white roses, white lissianthus and bushy fresh greens and greys including rosemary. 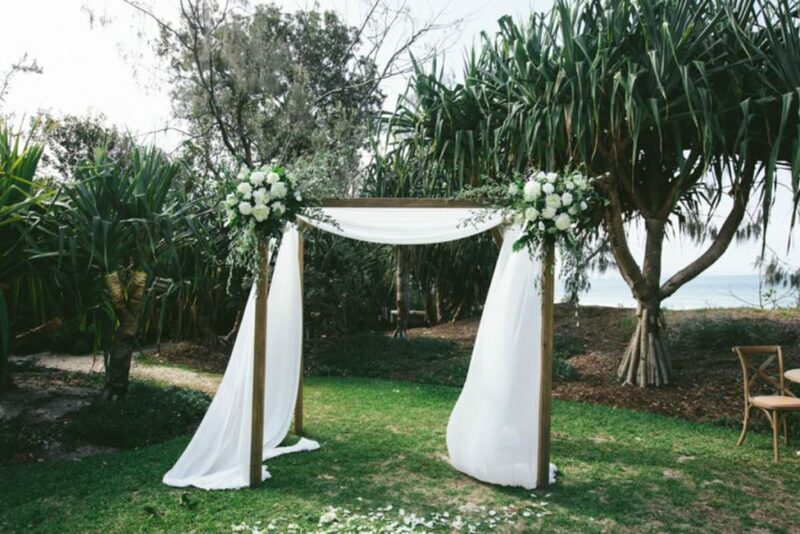 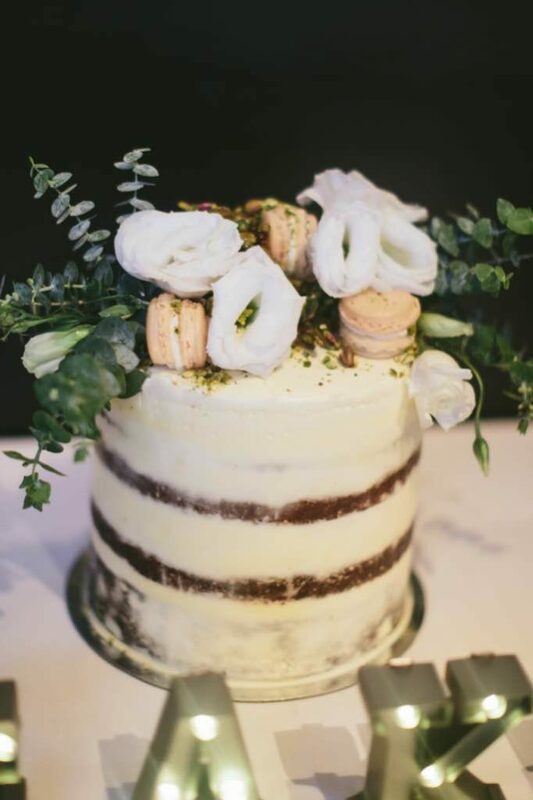 The silver tones in the olive and gum foliages setting off the crisp whites of the florals on the four post arbour at the beachside grove in Noosa. 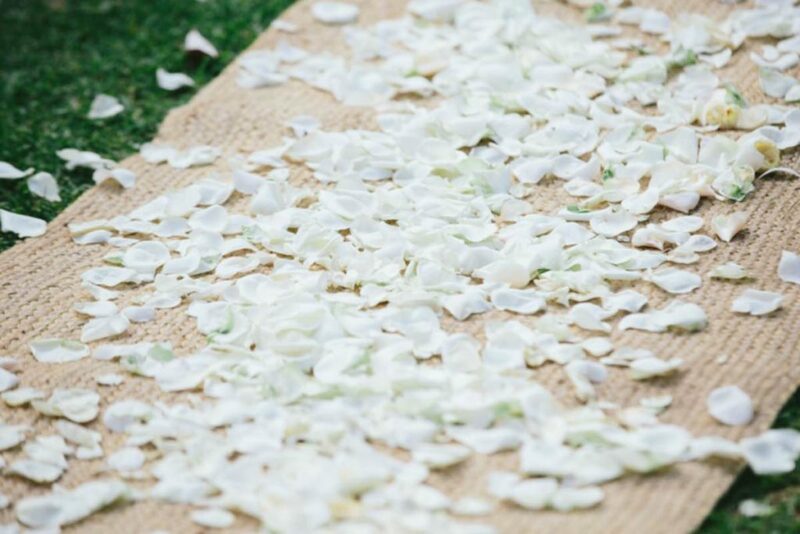 The intimate space was brought together with a trail of petals. 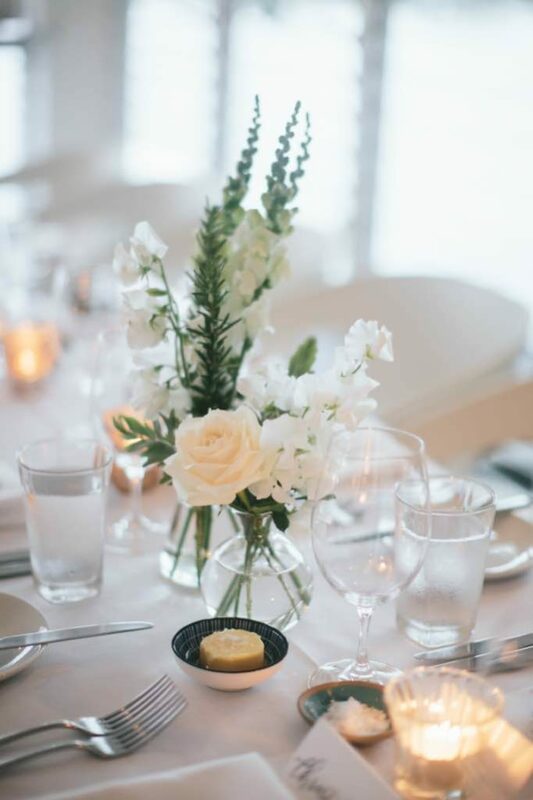 Tables at rickys are narrow and as such were adorned with simple, elegant vases of white focal florals and foliages. 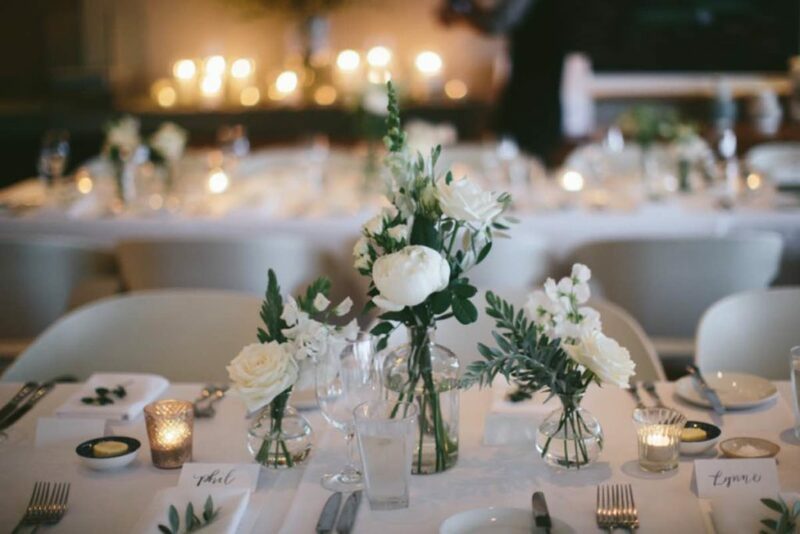 These florals were balanced with lots of candle votives and each place setting had a piece of olive. 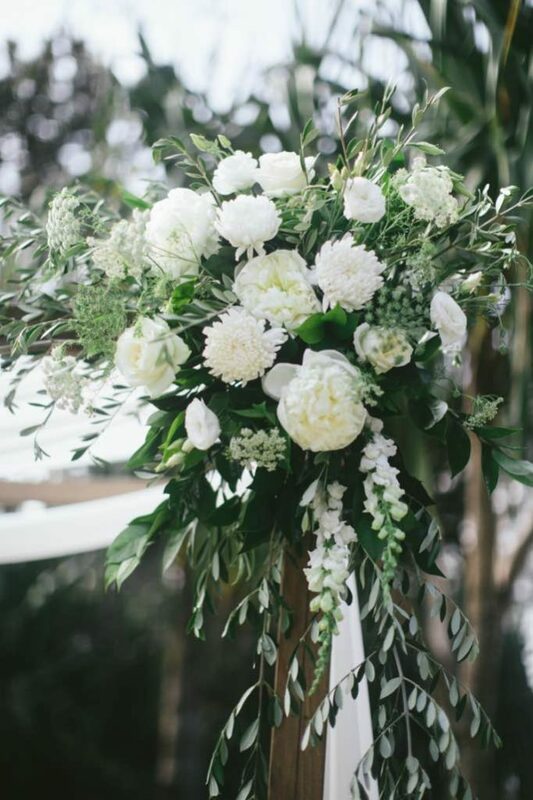 We also did a large feature arrangement of olive branches with candles on the side table.